With the light breeze and pumpkin spice, autumn is well underway. Firecracker Lacquer's latest collection is ready to make your season spooktacular! Notes: This is the very first orange that has looked good on me. It's absolutely gorgeous and perfect for fall. Notes: Purple cremes don't get any better than this. The color is incredibly vibrant. 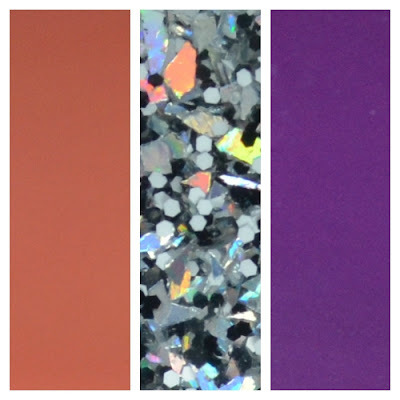 Notes: This topper is a playful assortment of glitter perfect for Halloween. I can't think of a better collection to kick off this autumn. The Halloween Supreme collection will be available on Thursday, September 24th at 6pm mst.